The Wings Food fest will be back in style for its 4th edition on the 20th and 21st July 2019 (Subject to license)! 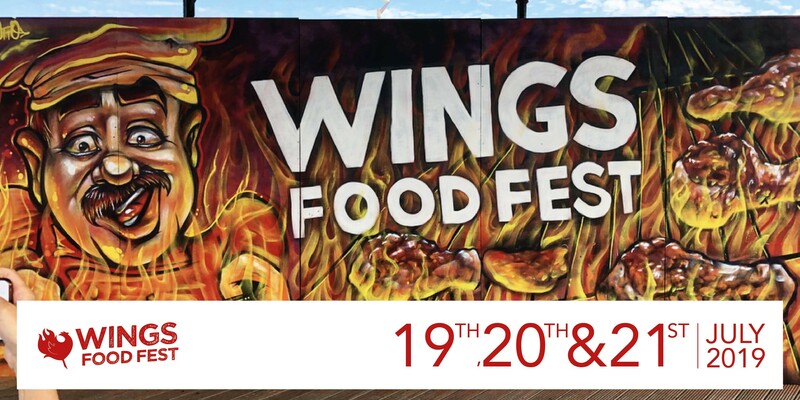 Returning with the mightiest and hottest chicken wings in Ireland… Delicious wings from around the country, street food and craft markets, live music, DJ’s, competitions and even the famous Bingo Wings! Visit our street market on Bray’s Seafront where takeaway food and craft stalls will be open. Soak up a bit of sunshine in the company of your favourite wings and our excellent live music line-up.